Whenever I travel, I’m always amazed how things can be so similar to what I’m used to but at the same time, completely different. Living in British Columbia and coming from a fellow Commonwealth country, you’d think there would be many similarities — and actually, there are! But I’m always a little amazed at just how many small differences there are too. Case in point: Last weekend, Mr Midday Musings and I headed out to the beautiful Van Dusen Gardens. The Christmas lights were just being hung and it was unseasonably cold for Vancouver — down to -8 the day before! 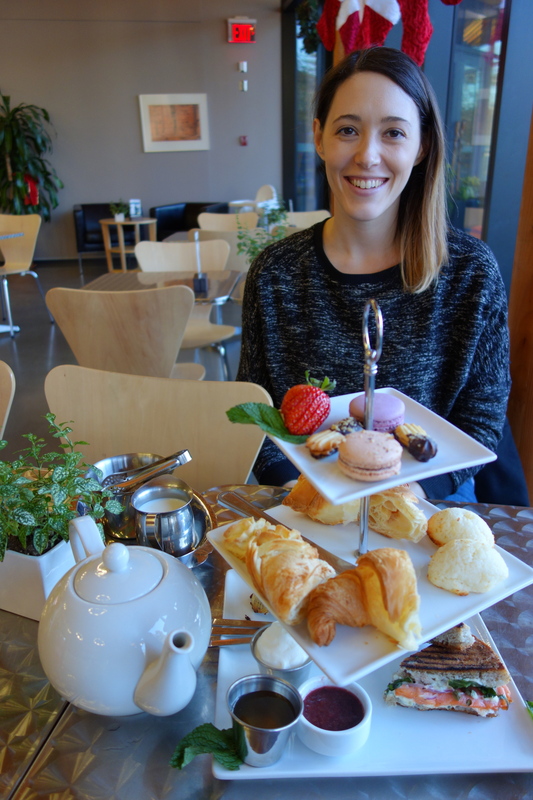 There’s only so much you really feel like doing outdoors when it’s cold (and there’s no fresh snow on the mountains), so with the chill settling in, we decided to warm up by indulging in a high tea for two as a belated birthday present. 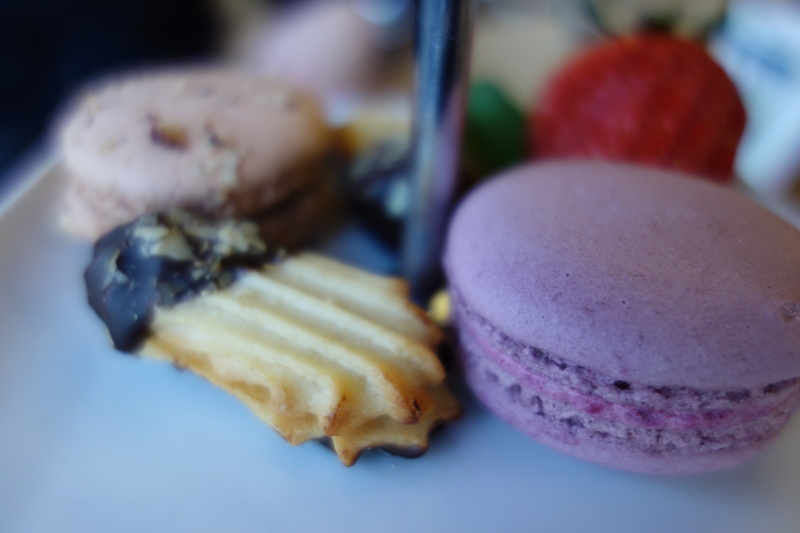 High tea has been a favourite past-time of mine since I worked in cafes back home during my uni days. 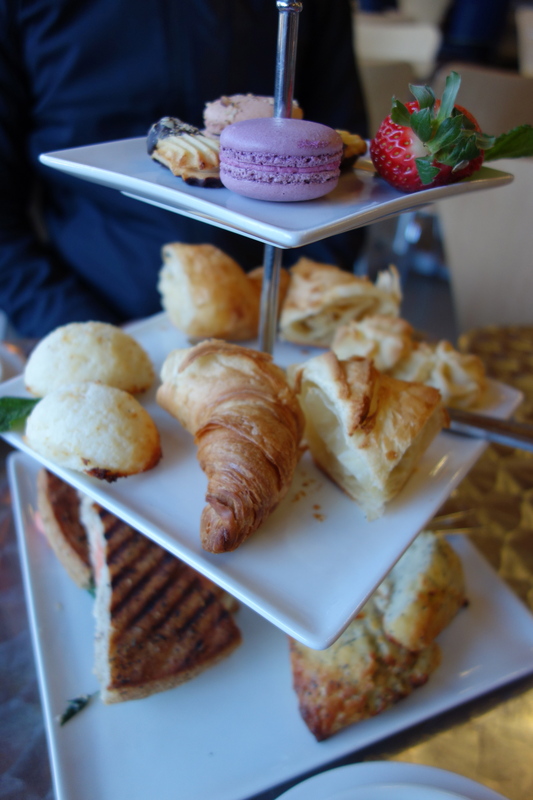 There’s really nothing more decadent than spending a morning or afternoon lounging around with girlfriends while you sip tea, nibble on petit fours, scones, pastries, and crust-less sandwiches. It’s a tradition that has somehow been incorporated into almost every female-related event I can think of — birthdays, hen parties, mother’s day, and baby showers! So, how do I rate Vancouver’s efforts? As always, there were little differences that make it hard to compare. Sure, the tiers of pastries, sandwiches and petit fours where there. The tea itself was nice, although probably not what I’d usually choose for myself — like seemingly all Canadians, the lovely girl working there recommended a flowery blend, whereas I prefer boring, plain, black tea myself. No, my only real concern was the lack of scones. Note to Canadians — weird, hard bread-like things are not scones. Especially if they are lemon and poppyseed flavoured! That would be lovely if it was a muffin, but it’s weird when presented with jam and cream as a scone… Same rule applies for those that are pumpkin flavoured and covered in icing sugar (!) (I’m looking at you, Starbucks). But enough whinging! It was a lovely afternoon, the food was tasty, and better yet, it felt like I completely indulged — all for $35 for two! Christmas lights at the gardens!